our core values and strategic initiatives. 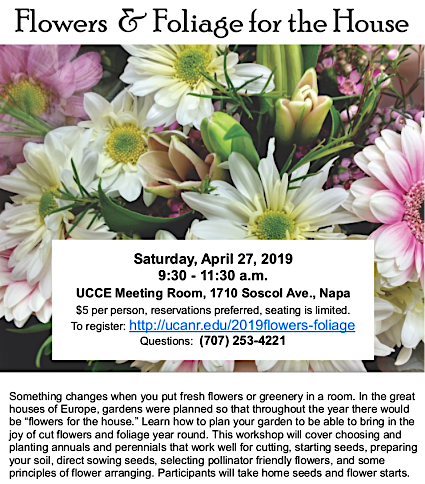 are trained, non-paid teaching staff certified to extend practical horticultural information to Napa County residents. receive an intensive 88-hour training program over a 3-month period to become certified. Instruction provides a practical course in plant science and horticulture. 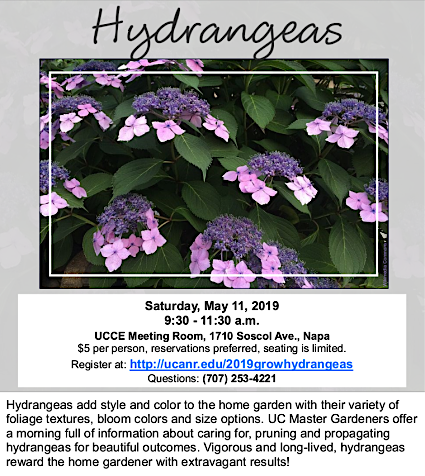 stay up-to-date on current UC research gardening information through continuing education provided by the UC Cooperative Extension. Help Desk, free of charge, to answer home gardening questions. Integrated Grape Team of Napa County to assist hobby vineyardists with gardening questions. 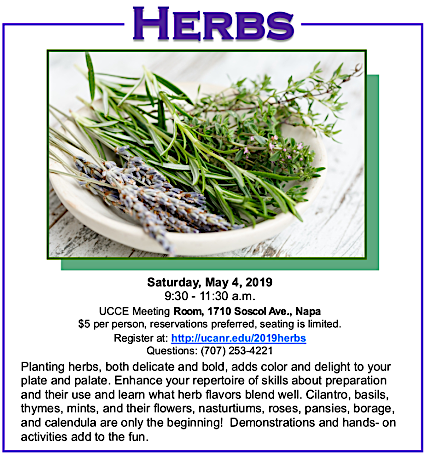 Information at public workshops, farmers markets. Home gardening information using gardening resources on this Web site. Need a speaker? Master Gardeners are available to speak to your group on a gardening topic.